New Delhi : Bollywood actor Akshay Kumar is stunned by the way people are reacting over surgical strikes by Indian Army and Pakistani artists in India. "Soldiers on border don’t care about which movie is getting released or if a Pakistani artist is working in India," said Akshay Kumar in a video he posted on his Facebook page. "Something which has been on my mind since the past few days and I just had to say it. Not intending to offend anyone... so here goes," the actor wrote on social media accounts alongside the video. While slamming the ones who are raising demands of ban on Pakistani actors or demanding proofs of surgical strike, he credited himself not as superstar but as a son of a soldier. "I am not speaking to you as a celebrity today. I am speaking to you as the son of an army man. 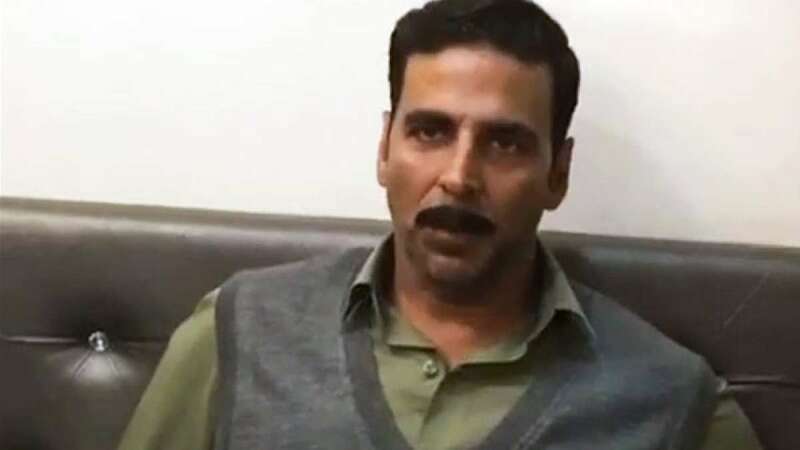 For the past few days, I have been seeing and reading that people are arguing and some are asking for proof about surgical strikes, some are demanding ban on artistes, while some fear that there might be a war," Akshay said in the video. "Arey sharam karo (have shame). These debates can happen later. First one must realise that people have already laid down their lives at the border. Nineteen jawans died during the attack and a 24-year-old jawan Nitin Yadav died in Baramulla," he said. "Are their families, or the families of our thousands of jawans, worried whether a film will release or not? Whether an artiste will be banned? No. They are worried about their future. "And our concern should be to ensure that their present and future is better. I am, because they are. You are, because they are and if they are not there, then India won't exist. Jai Hind."